Ending a marriage can be extremely emotional. Dealing with all of the legalities while going through such an emotionally devastating time can be confusing and stressful. The Law Office of Kelley Spigel is experienced in handling all types of divorce cases, from those involving only one or two issues to cases involving cheating, abuse or allegations of abuse, property distribution, division of retirement assets, custody and more. While it is always my goal to reach an agreement that is great for my client, I am also always prepared to act as a fierce advocate in the courtroom. In the event both spouses agree that separation and divorce is best for them and wish to settle issues relating to their marriage (including, but not limited to, alimony, property, division of retirement assets, and custody), it is best to have the agreement drafted as a contract, typically called a Marital Settlement Agreement. 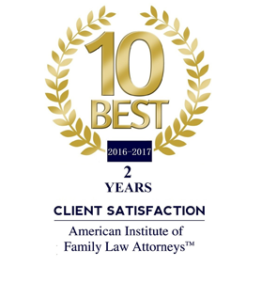 Kelley Spigel has negotiated and drafted many Marital Settlement Agreements and is always thrilled to help her clients reach an agreement that makes them happy. Custody is often a very contentious issue. The court follows many factors in determining who should have legal custody and physical custody, which can be very confusing for those not familiar with the factors and how they apply to your specific case. The Law Office of Kelley Spigel is here to protect you through the entire custody process and to fight for what you know is in your child’s best interests. . Many things change over time. Due to any of a number of reasons, you may want to ask for a change in a previous custody order. In order to do so, the court must be convinced that there has been a material change in circumstances affecting the welfare of the child. Call the Law Office of Kelley Spigel for a consultation to discuss your case for modification of custody. .
Third party custody cases, often grandparents fighting for custody of their grandchild or grandchildren, are usually very sensitive and emotional cases. Many times, the child’s parents are facing difficult issues in life, whether it be drug abuse, mental health, or otherwise. In these situations, there is a high burden for the third party to prove that it is in the child’s best interests for the third party to have custody. 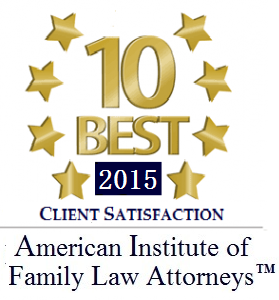 Kelley Spigel has experience litigating third party custody cases. Call the Law Office of Kelley Spigel prior to your marriage to help you protect your assets just in case you find yourself in the unfortunate situation of contemplating divorce in the future. Kelley Spigel has been litigating peace and protective orders since her time as a Rule 16 Student Attorney at the University of Baltimore School of Law. Whether you have been abused and are seeking an order for protection or you have been served with a peace or protective order, Kelley Spigel will fight to protect you and your rights. The Glen Burnie family law attorneys at the Law Office of Kelley Spigel provide committed and experienced representation for parties going through a military divorce. Contact our office today at 410-991-2792 for a free consultation.